Now in Egypt, Our Factory Expo is well known and respected among industry professionals. Our Factory Expo. will be held in Intl Fair Ground - SFD Hall - Nasr City - Cairo, Egypt. Opening Hours. 16-18 March , 2019. Factory/Plant/ Works/Maintenance Management, Warehouse & Distribution. Visa policy of Egypt. Visitors to Egypt must obtain a visafrom one of the Egyptian diplomatic missions unless they come from one of the visa exempt countries or countries that are eligible for visa on arrival. Visitors must hold passports that are valid for at least 6 months from the date of arrival to Egypt. Egypt has been the playground of emperors and kings for thousands of years and has much more to offer than just the Pyramids and monuments that we all associate with the city of Cairo. As well as checking out some hot night spots, luxury hotels and five star restaurants, you can visit the Red Sea for scuba diving, experience romantic cruises down the Nile on festive river boats or spend a night at the grand opera. Egypt is a land bustling with life, sound, visual beauty and excitement. 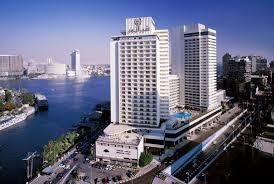 Book your Hotel in Cairo online. No reservation costs. Great rates.